Disputes that require a Court presence can be lengthy and costly, but they don’t always have to be that way. Mediation is a great alternative for people going through family law disputes. Family law matters would include things like divorce (with or without children), child custody, child support, prenuptial and postnuptial agreements, etc. Mediation helps to empower couples to work together to control the decisions that are being made about important issues that will affect the family for many years, to obtain faster resolution of all issues, and to move the case more quickly toward final resolution. Avoiding Court. Parties who use mediation typically do not go to court hearings. After a successful mediation, the mediatory will prepare the necessary paperwork and file it with the court. Faster Agreements. Going through the court system for your family law disputes can take a long time. Mediations, on the other hand, occur on the clients timeline and can be done within a few months. Client Control. 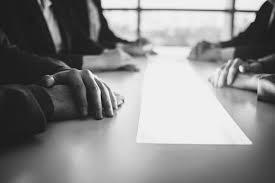 Mediation allows the parties to decide the terms of their agreements using just the assistance of a mediator. There is no final agreement unless both parties agree to it. Reduced Cost. Traditional litigation is very expensive and can often be unpredictable. Mediation costs far less because the parties spend their time working on a resolution rather than spending time filing stuff with the courts. Greater Client Satisfaction. Mediation allows the parties to work together to come to an agreement that can make both sides happy. Maintaining Privacy. Mediation is a private process that takes place in an office setting rather than in a public courtroom. Since mediation is not in a public place, things that are said during the process will not become part of the public record. Preserving Relationships. Some family law disputes become a war between parties, leaving relationships strained. With mediation, the parties are encouraged to focus on effective communication with one another as opposed to attacking one another. This helps the parties communicate and avoid conflict that may take place during litigation. Family law mediators facilitate communication and problem-solving between the parties and help couples develop agreements that meet the challenges of family law disputes in a cooperative and confident manner. If this sounds like something that would best suit you, Leslie M. Mathewson of Mathewson Law, P.C. has all of the training and skill to help you with accomplishing that.